The Solomix 1 VLH-C is a compact mixer feeder, featuring a single vertical auger and a curved chain conveyor that discharges to the front. This trailed mixer feeder is suitable for both large and small-scale livestock breeders and is available in volumes from 8- 14 m³. The shape and dimensions of the mixing auger and mixing chamber are perfectly matched to ensure a perfect mix. 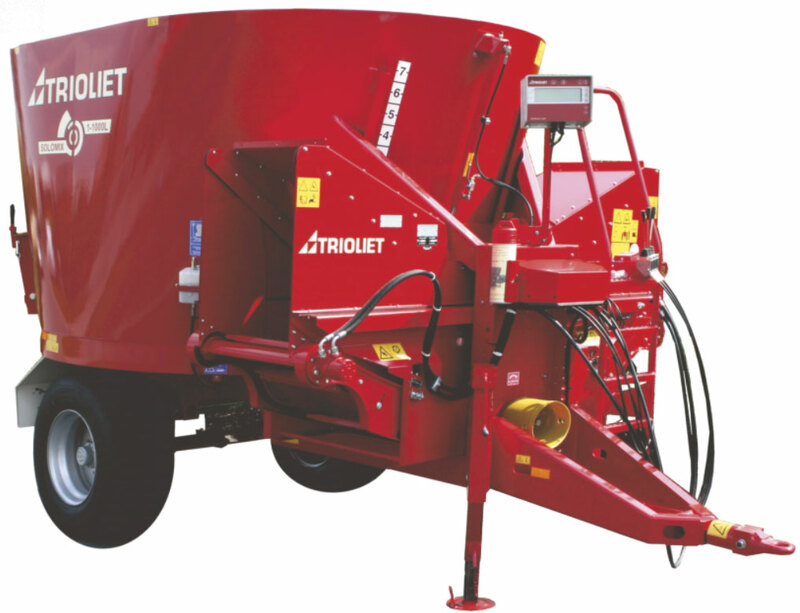 Its simplicity means any maintenance costs are minimal and the machine operates at high efficiency. Click here to learn about all the unique Solomix features.